A Somali national accused of beating up a Wajir politician outside a Mosque in Eastleigh wants court to release him so that he can leave the country. Jamal Mohammed told senior resident magistrate Eunice Kimaiyo that he has served the Director of Public Prosecutions with the affidavit in which he is seeking to travel outside the country. He claims he wants to have a kid with his wife through a surrogate in the UK. “My wife is in the UK and we have been trying to conceive a baby through natural means for years but in vain. We have scheduled a procedure medically to be done in UK and we have to meet the surrogate mother on June 21,” Jamal told court. Former Wajir South aspirant Hussein Mohamed, the complainant in the matter, said the accused is trying to sneak the application because they have not been served. The application will be heard on June 28, 2018, of which the magistrate said she will hear the matter on a priority basis. When parties appeared before court last week, the magistrate allowed Jamal to file an application on release of his passport. Kimaiyo gave the orders following Jamal’s plea that he need time to travel to the UK for medical check-up. He added that he needs his passport and would appear in court whenever needed. The prosecution had however opposed the application stating that he was a flight risk and was also a foreigner. They argued that if released, he would abscond court as he is facing serious charges of causing grievous harm. The court heard that the accused had not produced any documents to prove that indeed he was travelling for medical services. Magistrate Kimaiyo, however, granted them the chance to file the application on June 14 and serve the prosecution. The accused who is also an American citizen is charged with assaulting and causing grievous harm to Hussein. He allegedly committed the offence on September 17 at Eastleigh 7th street in Kamukunji. He was also charged of being in Kenya illegally. 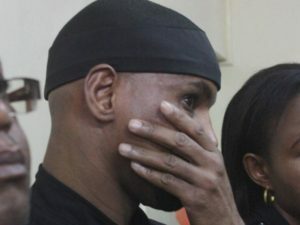 Jamal denied the charges and he is out on a cash bail of Sh300,000. The case will be heard on July 2.